A suspected cultist has ended up in a sad way after he was reportedly killed by rival gang in South Africa. A young Nigerian cultist has lost his life following renewed cult clash between Nigerians in South Africa. The man identified as Sunday Lucky Buchi, was, yesterday, murdered in Johannesburg, South Africa, as the cult war in the country rages on. 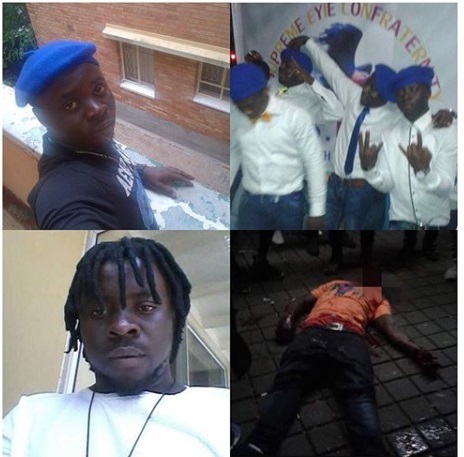 It was gathered that, Buchi, reported to be a member of Eiye confraternity, was killed at a nightclub, in retaliation for the killing of Romeo, the Aiye member who died some months ago. This is coming following the deaths of about eight Nigerians who were killed since the beginning of this year. Late last month, three Nigerians were killed in the space of four days. Nigerians have been reported to be killing fellow countrymen in South Africa over business and gang/cult related issues..
Over eight Nigerians and counting, are believed to have been killed in the underground war.